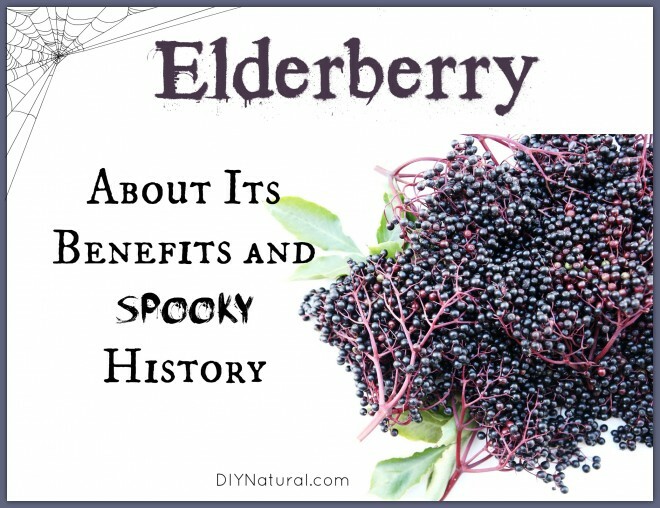 There may be more reasons than you think for using elderberry at this time of year. In college, I was fascinated with the stories humans tell about plants to transmit traditional knowledge. In each story there is a cultural memory being transmitted in the telling. It’s almost Halloween and a fun time to look into some of the scary stories humans have told about plants. Elderberry is an old world plant. In Europe, the variety is Sambucus nigra, and that is where some of these stories originated. …the elder bush is sacred to Holle, the guardian of the dead. This entity has been represented in various ways in several cultures. She is alternately a hag and a nurturing mother. In any case, she is not to be trifled with. The elder is never cut down or burnt without risking her wrath. It is still common knowledge that the elder is planted in your garden to watch over the plants in the area. This hag/mother figure is believed to be a bridge between life and death, communicating with and helping souls to pass over. For these reasons, people have carried bits of elder wood in their pockets for protection, tied prayers to its branches and dreamed underneath its canopy on a midsummer night’s eve. On All Hallows Eve, when people believe the veil between the worlds is thinnest, surely the old woman in the elder is very active. These days, elder is most important to us because of its antibiotic compounds. We find the berry in syrups at this time of year to battle the flu. In fact, studies have found elderberry to be very effective in shortening the time of suffering and minimizing the symptoms of a bout with the flu. In lab settings we also find that elder has activity against such forgotten illnesses as mumps and measles. In fact, in the media hype over ebola, it is interesting to find that Stephen Buhner mentions in his recent book, Herbal Antibiotics, that elderberry has shown activity against this virus as well. Today, our culture is not afraid of a witch living in the trunk of an elder. Our nightmare stories appear to be about the flu and ebola. Elder figures prominently in these bedtime stories because there is value there for keeping us healthy. Those of us who heed the tales will be sure to eat our elderberry syrup as we head into winter! Get dried elderberries here and learn how to make your own elderberry syrup here! Are you using elder to stay healthy this time of year? Hi, Great article as I only kind of knew the story of the elderflower tree. I had heard or read somehere that you should always ask the lady of the tree for permission to take her fruit and so whenever I pick elderflowers or elderberries I always ask permission to take its fruits and always thank the tree for its beautiful produce. In addition, when you cut some of the branches of they should be put back under the tree! I’m delighted to be connected with this website! Ever since I made elderberry jam from the couple of bushes my mother planted in our backyard — and since I no longer live there, I’ve been in search of a descent Elderberry jam and finally found some when I went to visit the Amish — their “Old Dutch Jam” brand — with the whole berry and a deep rich flavor! Only ingredients, elderberry, sugar, pectin and citric acid. When I made it, without anyone telling me otherwise, I boiled down the berries and strained them — I’m not sure I added sugar — I was so thrilled with what I described as a deep “rooty” flavor which was great on yogurt or thin, rolled-up pancakes! Maybe I need to plant some in my garden next year to watch over my plants and to protect them from ME! I can’t keep anything alive! ha! Very interesting article – I’ve heard good things about elderberry but never knew the story.